The following press release was issued by ASU Student Media and The State Press on July 16, 2014. This fall, The State Press at Arizona State University will become an all-digital publication — the first major university student newspaper to do so, according to an announcement from ASU Student Media. Manning said all of ASU Student Media’s resources will be used to enhance its digital products and content, especially in the areas of video, mobile distribution and social media. Under the new structure, the department will continue to earn operational revenue through digital advertising and other activities — including a student creative agency that will do contract work in the areas of design, video, and social media. ASU Student Media is funded by a combination of earned revenue and university support. Some non-student, professional staff positions will be eliminated during the transition. The new staff structure will allow increased funding for student equipment and travel, while maintaining student journalist stipends. ASU's current Student Media bylaws — which guarantee student editorial independence — will remain in place, as will all current student leadership positions and the Student Media Advisory Board, which appoints newsroom leaders and provides support and training for student journalists. “Our primary goal is to train the next generation of journalists, and this transition best positions these students to excel in a quickly changing media landscape,” Manning said. Student Media Advisory Board Members offered strong support for the change. “The decision to discontinue the print version of The State Press was a difficult one, but it was necessary when considering how the desires and behaviors of readers and advertisers have changed,” said Adam Kress, the digital editor at the Phoenix Business Journal and a member of the advisory board. Kress, a 2002 graduate of ASU’s Walter Cronkite School of Journalism and a former student journalist at The State Press, said ASU’s culture of innovation and bold leadership will be reflected in the new organization. Board member Jacquee Petchel, a Pulitzer Prize-winning journalist and a professor at the Walter Cronkite School of Journalism, said Arizona State University is the ideal place for this kind of innovation. “This is a bold move to continue to secure The State Press's place among the best student publications in the nation,” Petchel said. "Only at a place like ASU could an all-digital publication be so supported and successful." Student editorial leaders also embraced the switch to an all-digital format. State Press Editor-in-Chief Julia Shumway said the current staff respects the newspaper’s 120-year legacy, but now is the time to move forward. "Our editorial leadership is excited for this opportunity to improve the way we tell stories and connect with our audience, while maintaining the spirit of watchdog community journalism that they've grown to expect,” Shumway said. 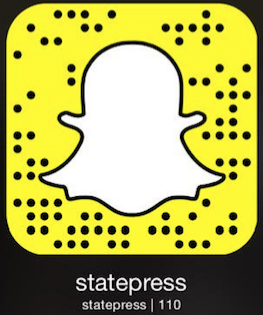 As part of the new focus, State Press Magazine will also expand its digital offerings and will continue in print, though with a reduced circulation.